Happy birthday Robert Newton Peck (A Day No Pigs Would Die, Soup), Susan Beth Pfeffer (Life As We Knew It), and Michael McCurdy (American Tall Tales). It’s the birth date of Dorothy Canfield Fisher (1879–1958), Understood Betsy, Virginia Sorensen (1912–1991), Miracles on Maple Hill and Chaim Potok (1929–2002), The Chosen. In 1968 the Naismith Memorial Basketball Hall of Fame was founded in Springfield, Masachusetts. Read The Basketball Hall of Fame’s Hoop Facts and Stats by Alex Sachare. It’s Random Acts of Kindness Day. Share your favorite book with a friend. Or read The Kindness Quilt by Nancy Elizabeth Wallace. Black History Month encourages the sharing of books about African American history with children. And although there has always been a certain predictability to the titles authors and publishers offer for young readers on this topic, we have recently seen some unique and unexpected titles, such as Steve Sheinkin’s Port Chicago 50. 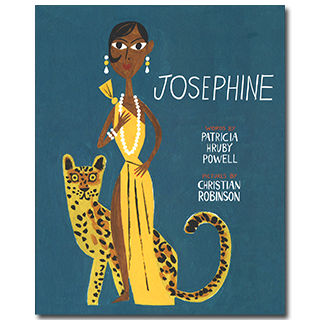 Such is the case with our book of the day, Josephine by Patricia Hruby Powell and illustrator Christian Robinson. 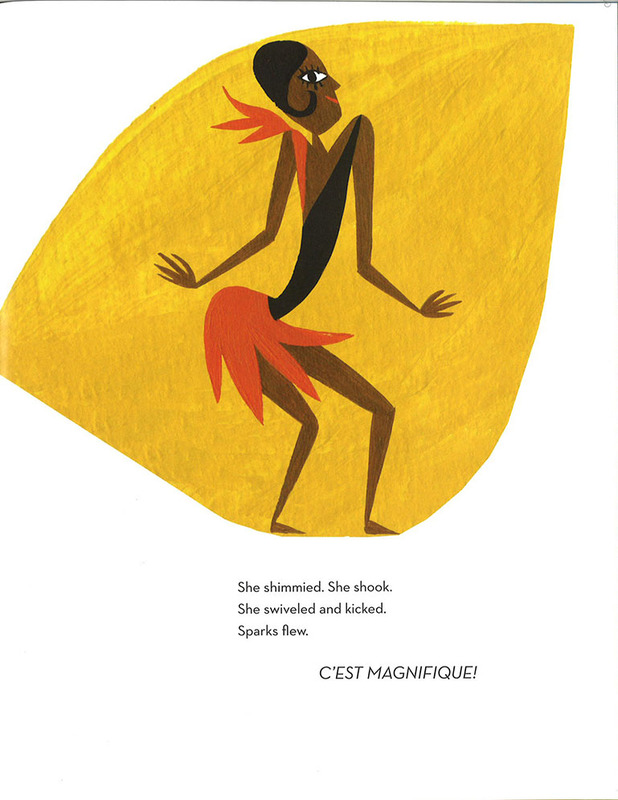 In an illustrated title of over 100 pages, Powell has ample time to present the life of dancer Josephine Baker. As soon as she could walk, Josephine danced. But her mother scrubbed floors, and this poor, born out of wedlock child in St. Louis, still had dreams of another life. As Josephine said, “I didn’t have any stocking, I danced to keep warm.” She witnessed racial beatings, and to find a way out of her hard luck life, Josephine joined the vaudeville act of the Dixie Steppers. For a time she was even a stowaway in a costume trunk—nothing stopped this determined girl. Racial prejudice and pervasive segregation did not change Josephine’s sense of what might be or how she might be treated. Marrying a Pullman porter and eventually getting to Broadway, Josephine Baker seized a lucky moment and got a chance to perform in Paris. For the first time in her life she felt truly beautiful. In the city of lights, her talent, rather than her color, mattered to those watching her. Powell’s exciting and entertaining text takes readeres through the stages of Baker’s life: her eccentricities like keeping a leopard as a pet, her eventual bankruptcy, and poverty. But her magnetism, charm, and power resonate throughout the story. And Christian Robinson, winner of a recent Coretta Scott King Honor for his art, provides an equally powerful portrait of pictures of this amazing legend. We see Josephine strut and dance and shimmy and leap her way across the stage and into the hearts of her viewers. Heavy paper stock and dazzling typography round out this book that demonstrates what can be accomplished in a longer picture-book biography for children, ideal for 3-5th grades. Author, illustrator, and publisher deserve great praise for taking an usual and exciting approach to a subject that many might have thought unlikely for children. Bravo to a brilliant performance— one totally worthy of the great Josephine Baker. Originally posted February 17, 2015. Updated for .